Joseph will attend the OOP conference in Munich Jan 21-25, 2019. This is a well-run conference and a lot of fun with many people. I gave talks and workshops on "Being Agile about Quality" and "Being Agile about Architecture". They did a graphic recording of the later which can be found here: Page-1 and Page-2. 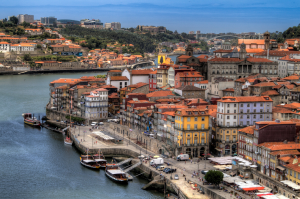 On my way home I flew to the beautiful city of Porto visiting my colleague Ademar Aguiar. While I'm there, I will also be taking in the sites, enjoying the company of friends, and escaping from the cold Illinois weather. If you'll be in the area and would like to meet up, send me a message.